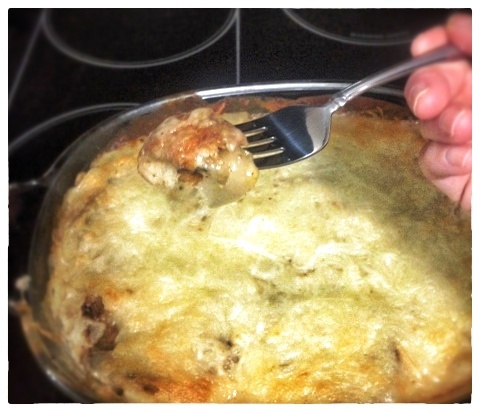 When I was home for Thanksgiving, I learned that I had missed out on this casserole. My sister-in-law, Tracie, had taken it to the big family get-together the weekend before. There was not a bite leftover by the end, so I am assuming it was a success. It sure sounds good. 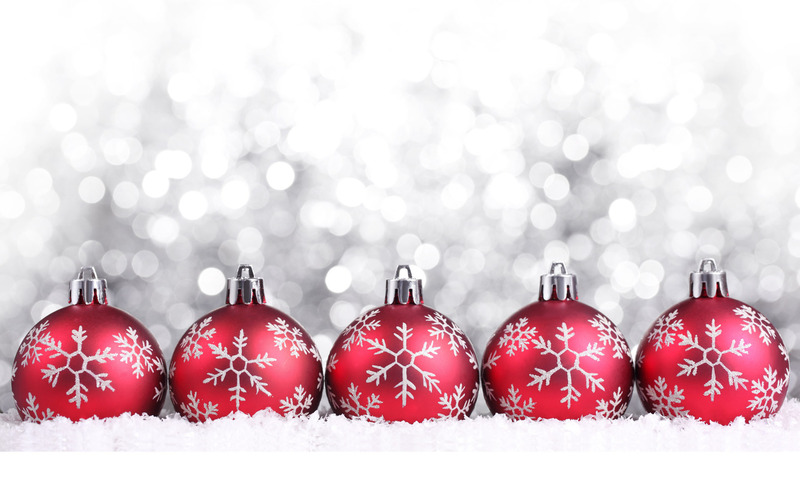 I thought it would be nice to post it in time for this month’s various holiday get-togethers. 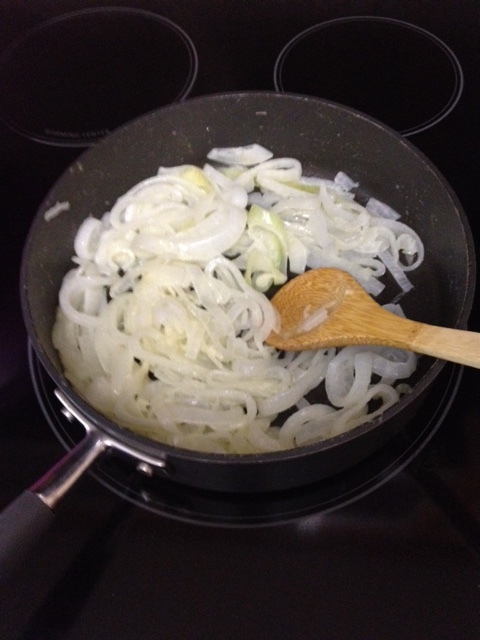 Melt butter in skillet over medium heat and add onions. 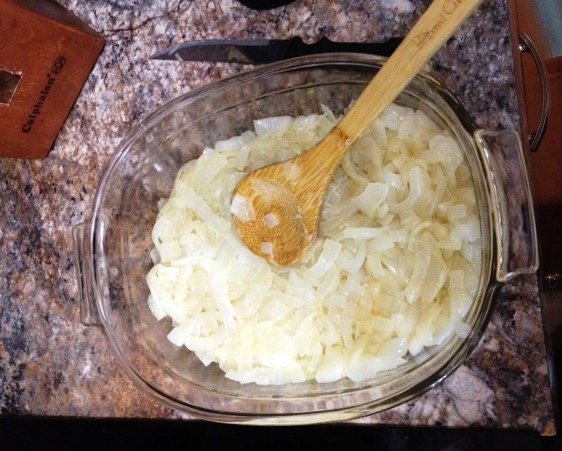 Sauté until onions are translucent, a little caramelization is ok. 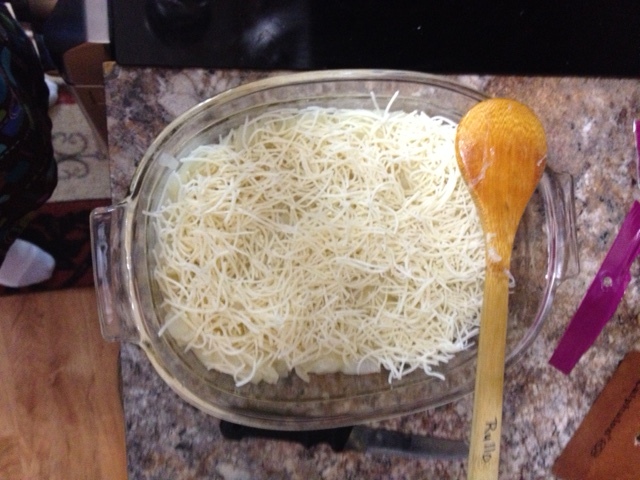 In baking dish, layer onions, 2/3 of the cheese and pepper to taste. In skillet, heat milk, soup and soy sauce, stirring to blend well. 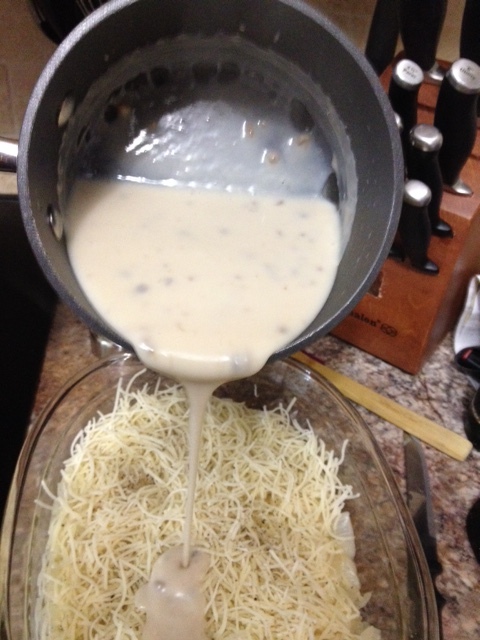 Pour soup mixture over casserole and fold in gently to mix. 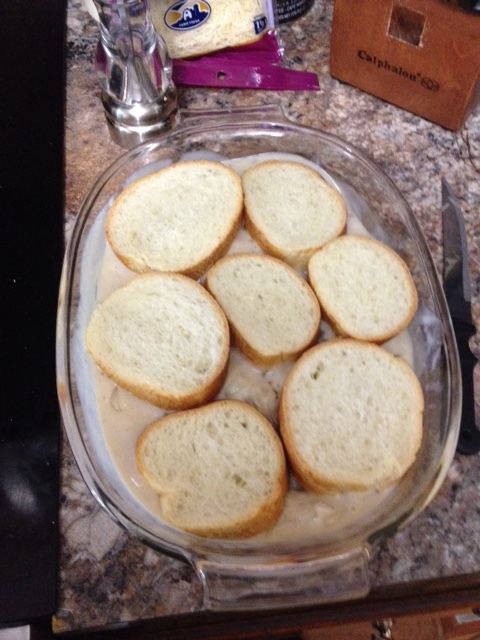 Bake at 350 degrees, uncovered for 15 minutes, bread should be brown and toasted. If not, turn oven to broil to crisp the bread (watch closely). 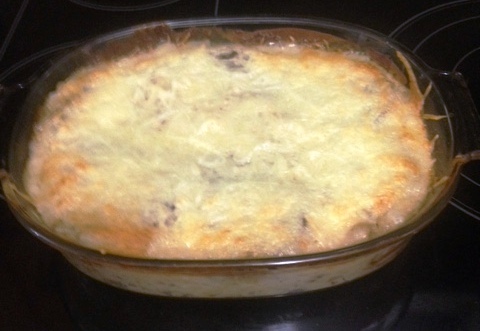 Remove casserole, return oven temperature to 350. 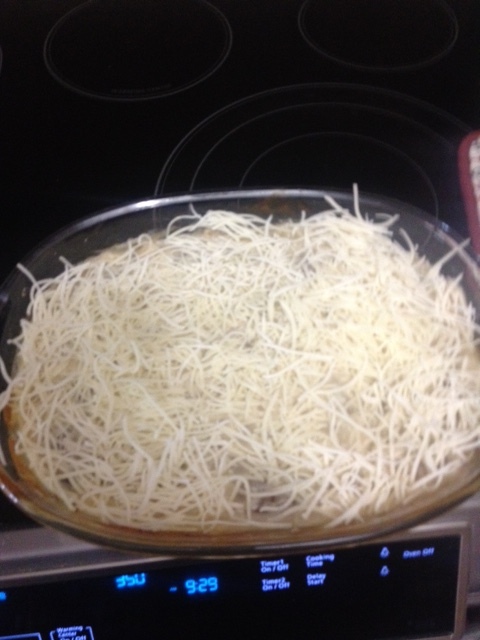 Push bread slices into sauce, top with remaining cheese, return to oven and bake an additional 15 -20 minutes until cheese is melted. I had big plans for cooking this week, which all went to hell by the end of today. So perfect time for a Men Who Cook/Guest Recipe. Tonight we have a guest menu from my friend Alton Gunn, who has provided us with several good recipes. It’s delicious, I’ve been lucky enough to have it several times (good are the friends who feed you). Brown the bacon in a large dutch oven. Add the beef and cook until brown (leave the bacon grease in the pot). Blend the tomatillos in your food processor and strain well to remove the seeds. Add about a cup of the tomatillo liquid back into the food processor and blend with the cilantro, and garlic. Add the tomatillo/cilantro/garlic sauce and the rest of the strained tomatillo liquid to the beef and bacon. Add salt to taste. Stir in pinto beans and bring to a boil. Reduce heat and simmer until beef is tender, about 1 hour. 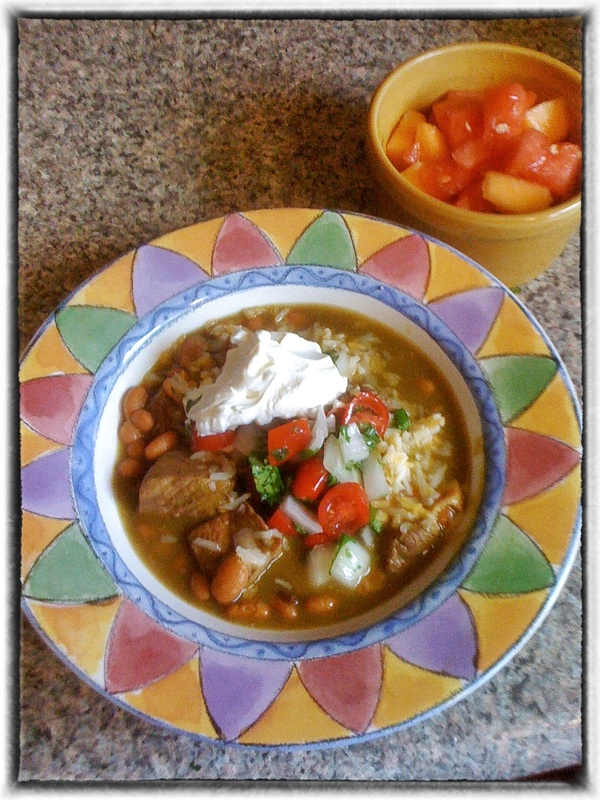 Ladle into bowls and garnish with pico de gallo (recipe below), fresh lime, sour cream. Serve corn or flour tortillas on the side. Mix together 20 to 30 minutes or more before meal. Many markets sell halved melons and wedges of watermelon, making it easy to prepare this salad closer to desired amounts. Combine lime juice, tequila, liqueur, and sugar in a bowl. Add melons and toss to coat with tequila and lime. Serve in shallow bowls. 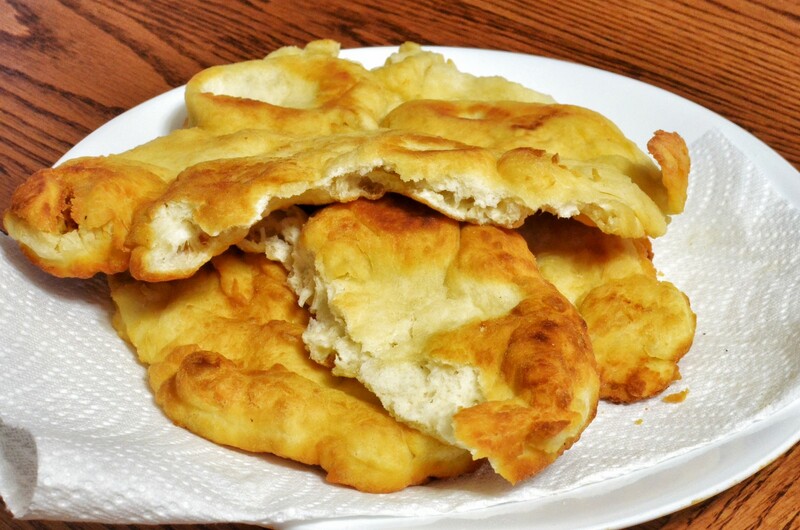 Not satisfied with a flat product, he decided to experiment with making it into a bowl and serving it with an awesome soup in his Bean Soup in a Fry Bread Bowl, recipe and photos here. What’s in your bowl this weekend? Do you have any special or unique family or cultural recipes to share? Hit the comments with your ideas and recipes. I love to add new flavors to my repertoire. Well look at that, it’s Friday and St. Patrick’s Day celebrations have already begun. I think that means we’ll revisit last year’s recipes, because I was at the store yesterday and briskets were half priced and I bought two, a tip and a flat. I’ll be doing the slow-cooker method first. Then I’ll think about grilling or pressure cooking the other. Corned beef is really one of the perfect foods to do in a pressure cooker. You get a nice, tender beef and instead of mushy, colorless vegetables, you get perfectly cooked vegetables infused with that great corned beef broth flavor. Tonight’s featured recipe uses a bit of dill pickle juice in place of some of the water and a touch of spicy brown mustard. But I saw recipes that used chicken broth, sherry or beer in place of some of the water. I think you should experiment and use what sounds good to you. I really like dill pickle juice. And I have become a big fan of Napa cabbage with my corned beef. A lot of recipes call for 3-4 lbs of corned beef. When I was shopping, 4 lbs was the smallest piece I could find, most were 5-6 lbs. You may have to cut a piece in half, but since both the pressure cooker and slow-cooker recipes are easy, you don’t need to save corned beef and cabbage for a special occasion. Just freeze the other half for another day. And the best part of a corned beef and cabbage dinner? Making Reuben’s with the leftovers. My mom makes the best ones, but I one up her by grilling mine Panini-style. Yum. Are you a corned beef and cabbage household? Reuben fans? What other recipes do you have for the leftovers? Any good hash recipes? Doing anything special to celebrate your Irish (adopted or otherwise) heritage this weekend? And, in case you missed it, my vacation plans now include cooking lessons in exchange for a nice place to stay: Have Frying Pan, Will Travel. Remove the corned beef from the brine (discarding the brine), rinse thoroughly and place in the bottom of the pressure cooker, fatty side up. [You don’t really want to brown this beef, because it’s been brined.] Sprinkle spices over the top of the beef. Add enough liquid (water or water and a combination of ONE of the following: pickle juice, chicken broth, beer or wine) to come to the top of beef, about 3-4 cups usually. Cover and bring to pressure and let cook for 1 hour. I use the cold water method to depressurize (that is when you run cold water over the pan in the sink, otherwise you can remove it from the heat and let slowly depressurize). The key to getting the perfect corned beef and vegetables with the pressure cooker is to cook them separately. Prep the vegetables during the last 15 or so minutes of beef cooking time. Once the beef is done, put it on a cutting board, cover loosely in foil and put a towel over the whole deal. Remove all but enough liquid to come to the bottom of the cooking rack when placed in the pressure cooker. Place potatoes first on the tray, then carrots and then cabbage, cover and bring to pressure. Cook for about 12 minutes. The vegetables will be fork tender, not mushy and the beef will be fully rested. Slice, plate and serve. Place rinsed beef in the bottom of the slow-cooker, sprinkle spices, add liquid to come to the top of the beef, and cover. Cook on low for 4 hours. At the 4 hour mark, add potatoes and then carrots. Cook additional 4 hours, adding the cabbage during the last 30 minutes. With the exception of adding the vegetables, try to resist the temptation to open the lid. You need it to stay covered to properly cook. Let the meat rest, covered with foil for about 15 minutes before carving. 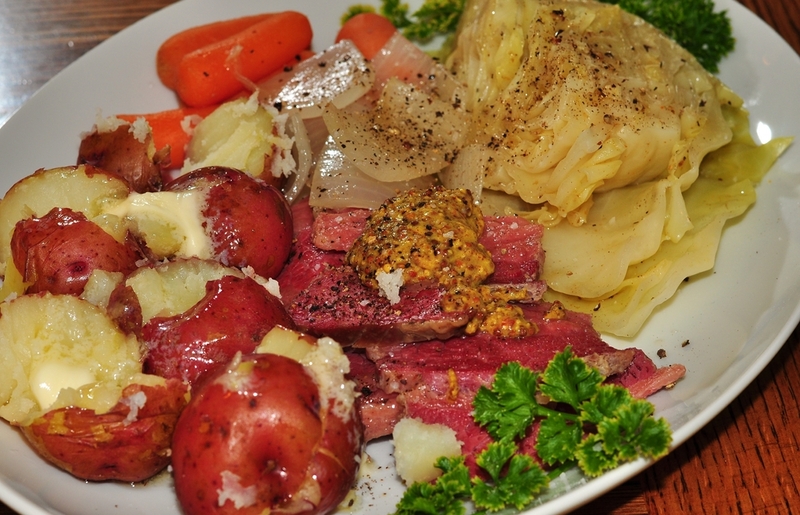 There you go, some easy ways to put together a nice corned beef dinner. Interestingly last year there seemed to be a green cabbage shortage. I went to three different grocery stores and they were completely sold out. I didn’t want to use red cabbage because I don’t really like it. I decided to use Napa cabbage and really liked it, much more than green cabbage, it’s sweeter and has a more delicate flavor and now it is my cabbage of choice. Tonight is a bit hodgepodge. 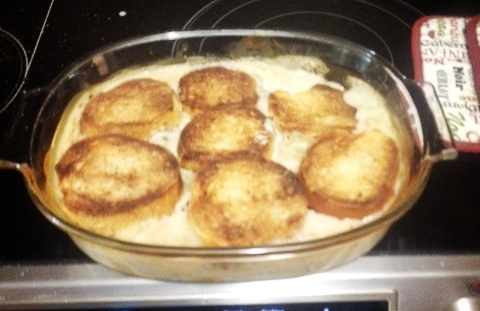 While I was away, faithful contributor, Joshua D (Yutsano) sent me two tasty recipes to share. I was grateful, because lately I feel like I’m walking on ice and cannot get my feet under me long enough to cook, much less blog about cooking. I’m sitting on a folder full of great vacation pictures and some fun food stories that I can’t seem to find the time to blog about. I struggled with tonight’s featured recipe, finally settling on lamb, but not sure where I wanted to go from there and then I remembered that JeffreyW has been working for quite a while on perfecting his gyros. And there it was, I knew what I’d feature tonight. What’s on your menu this weekend? Anything new and fun cooking in your kitchen? Be kind and share your inspiration, so I can find mine. Moving on to tonight’s recipes, starting with Joshua D and Cilantro Lime Hummus, recipe here. From Ruemara, thoughtfully shared by Joshua D, Cauliflower and Broccoli Cheese Soup, recipe here. 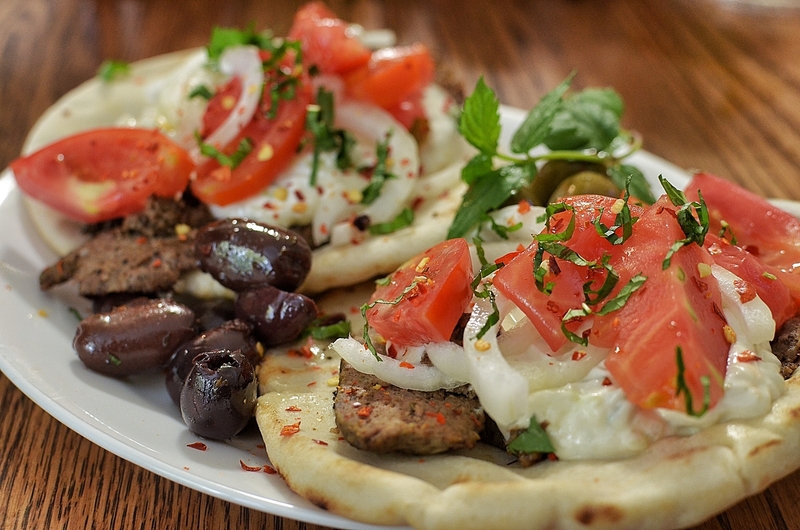 And if making a gyro loaf seems a bit too labor intensive, this Spicy Lamb Burger (click here) would work as well with pita and Tzatziki sauce. Ok, these are the general directions, but JeffreyW has been playing with perfecting the preparation, so click here and here for lots of step-by-step photos and his tweaks to make the perfect loaf. I have been so busy, I’ve barely been in my kitchen to eat, much less cook, and I’m holding onto several items to post, which hopefully I’ll get to eventually. But until then, once again Joshua D comes to the rescue with another recipe. Thanks Joshua!!! 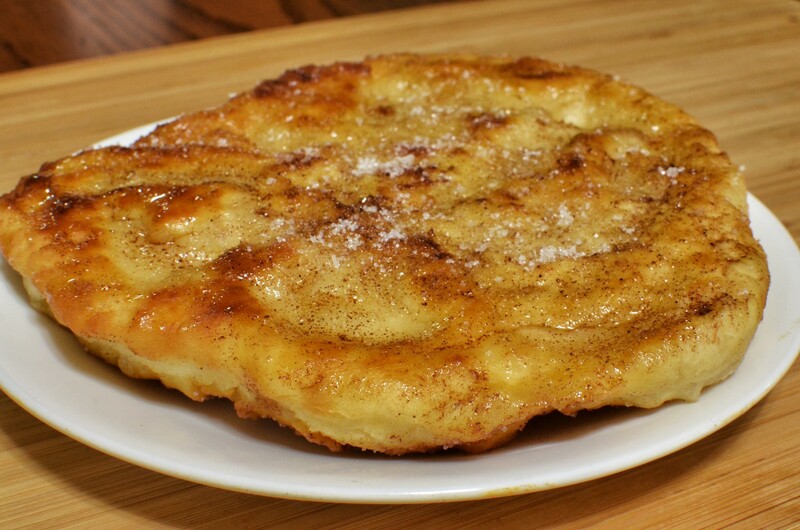 This is an oldddd dust-off recipe from the long-forgotten files! It’s inspired by a restaurant in Spokane, Washington called Niko’s that serves great Greek food. If you’re one of those unfortunates for whom cilantro tastes like soap, just use Italian parsley. The effect won’t be the same, but I understand the why. This can also be spiced up with a chile if desired. Break up beans in the food processor. Add in lime juice, sesame seeds, garlic, and cilantro. Blend until well-ground. Pour in olive oil slowly through the feeding tube until it’s the consistency you want. A wonderfully different take on a Mediterranean classic! You start with sauteing onions in 1 tsp oil until translucent, add beer, broth ( I prefer chicken, since it’s clear) and all of a cleaned, roughly chopped head of cauliflower. Add garlic, salt free seasoning, and black pepper to taste. 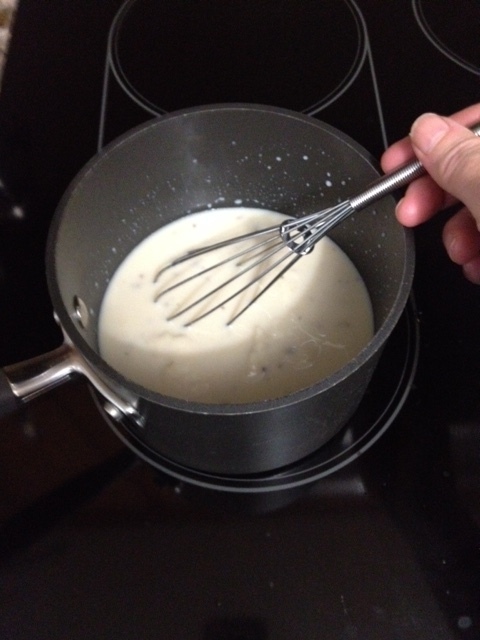 Once cauliflower is tender (about 10 minutes) turn off burner and use your handy, dandy immersion blender. Blend until smooth. Mix in cheddar shreds and smoked paprika. You can also go with smoke seasoning and tortula yeast for the cheez flavour. Stir. Salt to taste. Drink up. I think that’s what I did. It was good. If you’re looking for foolproof ham this Christmas, America’s Test Kitchen can be counted on for coming up with the perfect recipe. Normally I’d just link to the site, but they put their stuff behind a firewall (it’s free, but you have to give them your credit card to access) after a certain amount of time. So here’s the entire recipe and I encourage you to go check out their other recipes and also Cook’s Illustrated, their sister site, which has a great magazine. Our recipe for a moist ham with a glaze that complements but doesn’t overwhelm the meat includes avoiding labels that read “ham with water added” and heating the ham to an internal temperature of no higher than 120 degrees. Soaking the ham in warm water before heating it and placing it in an oven bag or wrapping it in aluminum foil are also part of our perfect glazed ham recipe. You can bypass the 90-minute soaking time, but the heating time will increase to 18 to 20 minutes per pound for a cold ham. If there is a tear or hole in the ham’s inner covering, wrap it in several layers of plastic wrap before soaking it in hot water. Instead of using the plastic oven bag, the ham may be placed cut-side down in the roasting pan and covered tightly with foil, but you will need to add 3 to 4 minutes per pound to the heating time. If using an oven bag, be sure to cut slits in the bag so it does not burst. We’ve included two optional glazes. 1. Leaving ham’s inner plastic or foil covering intact, place ham in large container and cover with hot tap water; set aside for 45 minutes. Drain and cover again with hot tap water; set aside for another 45 minutes. 2. Adjust oven rack to lowest position and heat oven to 250 degrees. Unwrap ham; remove and discard plastic disk covering bone. Place ham in oven bag. Gather top of bag tightly so bag fits snugly around ham, tie bag, and trim excess plastic. Set ham cut-side down in large roasting pan and cut 4 slits in top of bag with paring knife. 3. 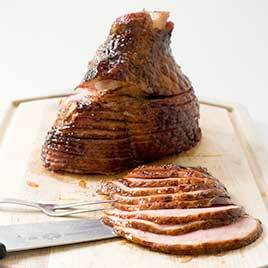 Bake ham until center registers 100 degrees on instant-read thermometer, 1 to 1 1/2 hours (about 10 minutes per pound). 4. Remove ham from oven and increase oven temperature to 350 degrees. Cut open oven bag and roll back sides to expose ham. Brush ham with one-third of glaze and return to oven until glaze becomes sticky, about 10 minutes (if glaze is too thick to brush, return to heat to loosen). 5. Remove ham from oven, transfer to cutting board, and brush entire ham with another third of glaze. Let ham rest, loosely tented with foil, for 15 minutes. While ham rests, heat remaining third of glaze with 4 to 6 tablespoons of ham juices until it forms thick but fluid sauce. Carve and serve ham, passing sauce at table. To Make Maple-Orange Glaze:Combine all ingredients in small saucepan. Cook over medium heat, stirring occasionally, until mixture is thick, syrupy, and reduced to 1 cup, 5 to 10 minutes; set aside. To Make Cherry-Port Glaze:Simmer port in small saucepan over medium heat until reduced to 2 tablespoons, about 5 minutes. Add remaining ingredients and cook, stirring occasionally, until sugar dissolves and mixture is thick, syrupy, and reduced to 1 cup, 5 to 10 minutes; set aside. I like this recipe because it’s pretty simple (not always the case with ATK recipes) and it uses a cooking bag, which can make for a stress-free cooking experience, which is great when you’ve got a hungry crowd heading over the river and through the woods to your house for Christmas dinner.